Across the road from the bowling green, and with a view of Steeple Hill, Stonycroft is close to the walking trails and the Goil Inn in the village. A detached bungalow in the heart of the village. Across the road from the village hall, bowling green and multi-court. Close to the village Arboretum and playground. This is the starting point for a number of marked walking trails. The interior is smart and comfortable and there are enclosed gardens to the front and rear with garden furniture. 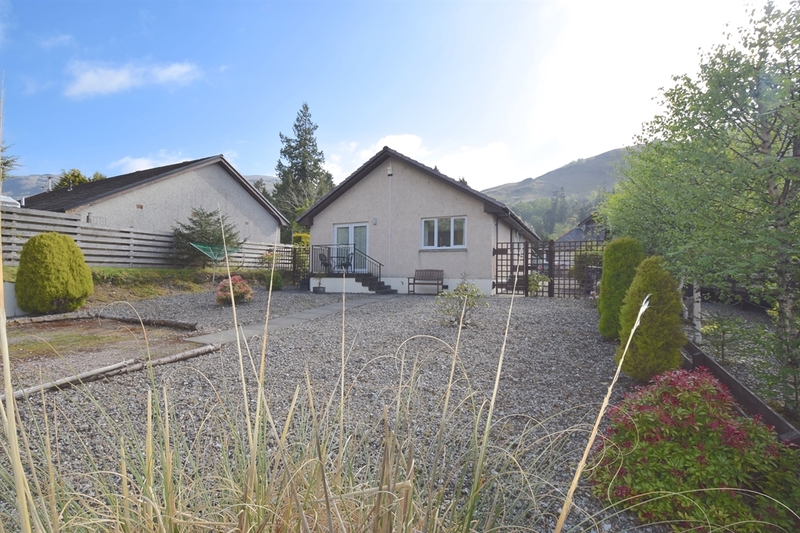 This charming holiday home has something for all the family to enjoy and is very well situated for exploring the surrounding areas. All rooms are on the ground level and the property may suit some visitors with wheelchairs or those with walking difficulties.